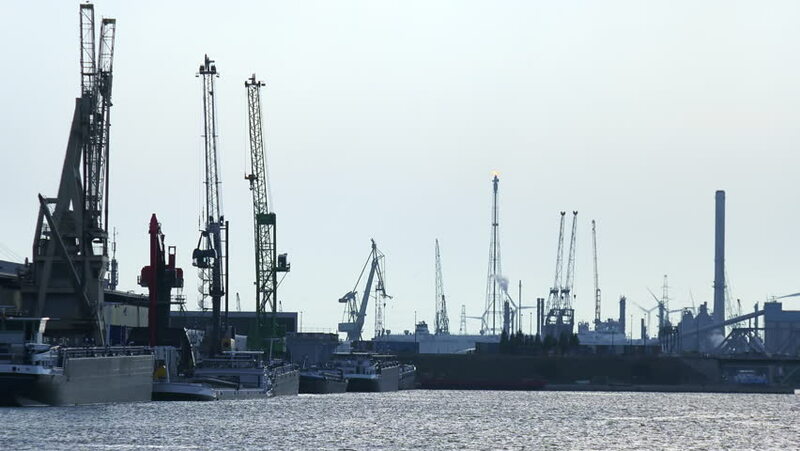 Beautiful view of marine cargo terminal or seaport area with cranes on bank of Scheldt river against silhouettes of rotating wind turbines on background. Sea port on sunset. Antwerp, Belgium. 4k00:08Abstract futuristic scenery with sea port or marine cargo terminal with silhouettes of cranes and rotating wind turbines against beautiful sunset sky. Seaport area at evening. Antwerp, Belgium. hd00:15Smoke in the Air Pipe Factory. Air Pollution.